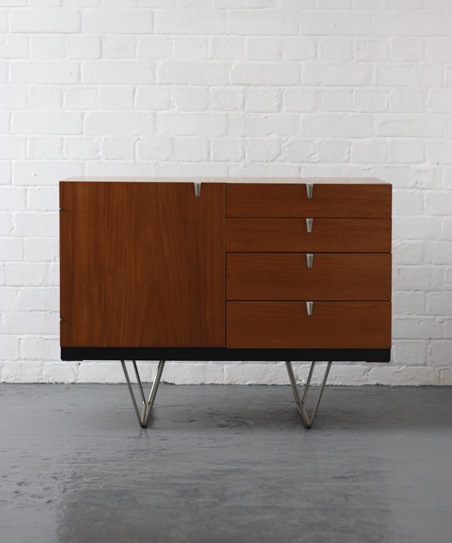 A S-Range sideboard designed by John and Sylvia Reid for Stag, UK, produced between 1960-1963. 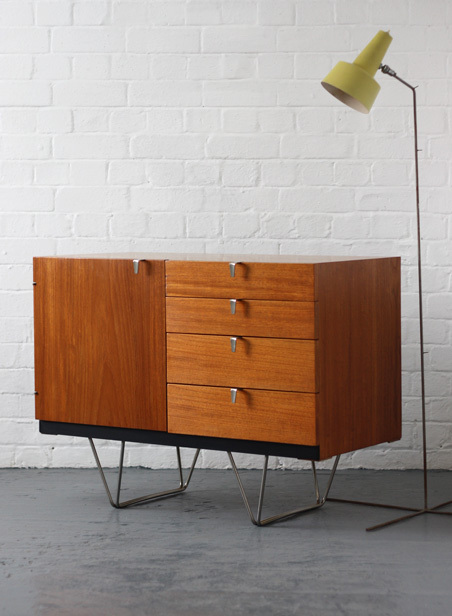 One of the nicest British midcentury sideboards and increasingly hard to find. 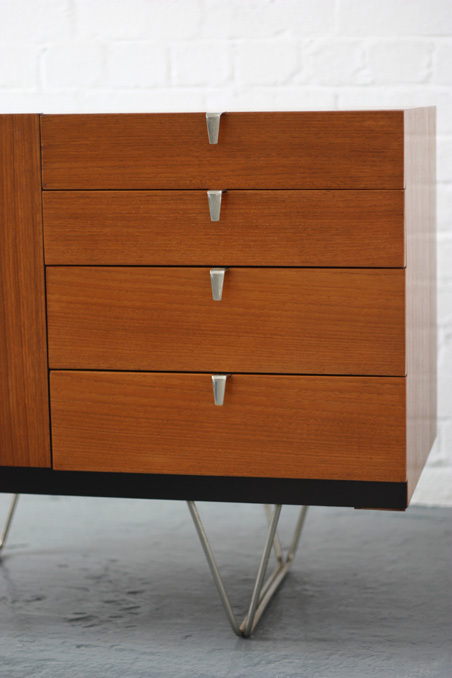 Teak carcass with metal V-shaped legs and nickel-plated handles. 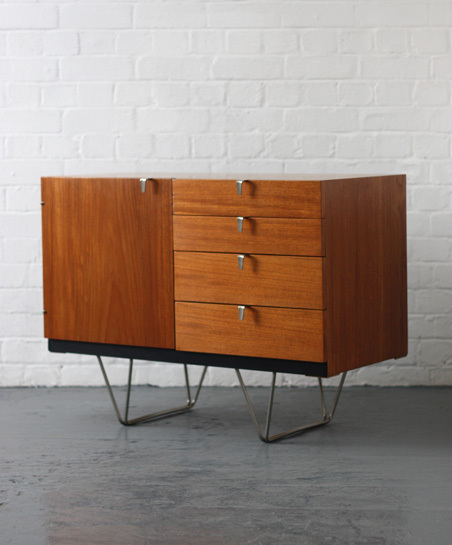 The top drawer includes the original felt-lined cutlery tray. This is an early example with the custom made hinges instead of the later barrel versions.